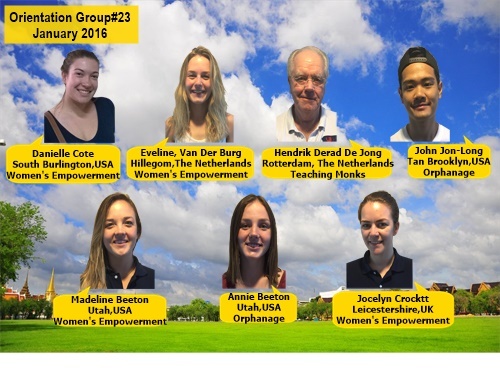 Presenting Bangkok Volunteer Group #23! A group of seven volunteers from the USA, UK, and the Netherlands. This group of volunteers are participating in our Bangkok Womens Empowerment, Orphanage and Teaching Monks Volunteer Projects. Unfortunately, this group ended up arriving at different times, so it was hard for us to get a group photo. Hence the “photo-shopped” nature of the photo below. This is our first group of 2016. Thanks for coming and we hope that all of you have a good experience in our Bangkok Volunteer Projects.